Each month, the editors of The American Journal of Human Genetics interview an author of a recently published paper. This month we check in with 2018 Curt Stern Award winner Sek Kathiresan (@skathire on Twitter) to discuss his paper ‘Genetic Association of Albuminuria with Cardiometabolic Disease and Blood Pressure’. Sek: In observational studies, many biomarkers including the concentration of protein spilling into urine (albuminuria) are correlated with health outcomes. We wondered if the association of albuminuria with adverse health outcomes reflected a causal relationship or mere correlation. Knowing this is important to determine if decreasing urinary albumin excretion should per se be a target for therapeutic intervention. Sek: In addressing the question above, we identified a bi-directional relationship – genetic predisposition to albuminuria leads to higher blood pressure and genetic predisposition to higher blood pressure leads to more albuminuria. We suspect this reflects a feed-forward loop. Sek: Mendelian randomization is a useful genetics approach for causal inference. The availability of biomarkers, clinical outcomes, and genetic data in a single large study – UK Biobank – is facilitating systematic Mendelian randomization analyses for a range of biomarkers. Sek: Pick an important problem to study – one that not only you care about but also the rest of the world. Figure out the skills and resources you need to address the problem. Then, go out and get the training and resources to attack the problem. Stay focused on the problem and ask yourself, each day, if you are working on the most impactful thing you could be doing. Sek: Life outside the lab is consumed by three children – ages 15, 13, 10. Raising them to be happy, loving, and engaged with the world is a joy. Sekar Kathiresan, MD, is the Director of the Center for Genomic Medicine at Massachusetts General Hospital (MGH), Ofer and Shelly Nemirovsky MGH Research Scholar, Director of the Cardiovascular Disease Initiative at the Broad institute, and a Professor of Medicine at Harvard Medical School. He has been a member of ASHG since 2004. Each month, the editors of The American Journal of Human Genetics interview an author of a recently published paper. This month we check in with David Kingsley to discuss his paper ‘Characterization of a Human-Specific Tandem Repeat Associated with Bipolar Disorder and Schizophrenia’. David: We’ve been working on the genomic basis of evolutionary change for many years. We previously found that the deletion of key regulatory sequences can underlie classic evolutionary traits in both stickleback fish and humans. [Co-authors] Craig Lowe and Janet Song decided to look for the reciprocal type of molecular changes: insertion or gain of new regulatory sequences that might contribute to human-specific traits. David: We found a particularly dramatic human insertion in an important calcium channel gene. Where most primates have a single, 30 base pair, non-coding sequence, humans have expanded the 30-mer into a huge tandem array that can be up to 30,000 base pairs long. We found that the expanded human sequence shows enhancer activity in neural cells, suggesting it contributes to increased expression of this calcium channel gene in humans compared to other primates. We were particularly interested to see that the tandem array is located right between SNP markers that been repeatedly associated with risk of schizophrenia and bipolar disorder in many human genome-wide association studies. We found that different subtypes of the tandem arrays are associated with risk or protective genotypes at the locus, and that the risk-associated arrays have less enhancer activity than other subtypes. We think that this novel structural feature may thus contribute not only to evolutionary differences between humans and other primates, but also to common risk of psychiatric disease within human populations. David: These large tandem arrays don’t appear in the reference human genome, likely because they are unstable when propagated in conventional bacterial vectors, and are impossible to assemble correctly from short sequence reads alone. Conventional SNP genotyping arrays don’t score the repeats, and exome sequencing studies miss the region entirely because the arrays are located in a large intron of a calcium channel gene. The human-specific arrays are thus a great example of a previously hidden genome feature, that may nonetheless provide a causal basis for functional changes in the gene. The broader lesson is that the human reference genome is still a work in progress, and that lots of important biology may be embedded in the parts of our genomes that are difficult to assemble and still poorly understood. David: Treasure your exceptions, and try to keep an open mind when studying any research problem. The surprises and the things that don’t initially make sense are interesting puzzles that often lead to new discoveries. But you have to embrace results that don’t fit your preconceptions, and then be willing to consider a whole range of new possibilities. David: I love to explore the sky with telescopes at night and have made trips all over the world to enjoy dark skies in both the Northern and Southern hemisphere. Early astronomers slowly groped their way to a better understanding of the larger universe by cataloging individual stars, planets, and nebula with relatively simple equipment. Particular objects can look like stunning “eye-candy” or faint and subtle “mind-candy” in the eyepiece. And as you look at more and more objects, you can gradually build up a larger picture of our place in the solar system, the Milky Way galaxy, and the overall universe. That actually has lots of parallels to biology. In genetics, we often start with an interest in particular traits or genes. But detailed studies of particular genes can grow into larger studies of chromosomes, whole genomes, variation between individuals, and the molecular basis of evolutionary differences between species. Our glimpses of the whole shebang are still very incomplete. But spend enough fun time looking at stars and genomes, and you end up with a much richer view of humans and where we came from. David Kingsley, PhD, is an HHMI Investigator and Professor of Developmental Biology at Stanford University. 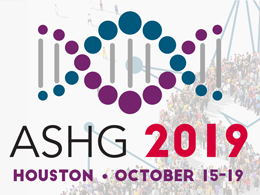 He has been a member of ASHG since 2018.